Home | Admissions | Why Cheverus? With a 100+ year history, Cheverus is known for academic excellence, vibrant student life, deep spirituality and much more. Discover a new home at Cheverus. 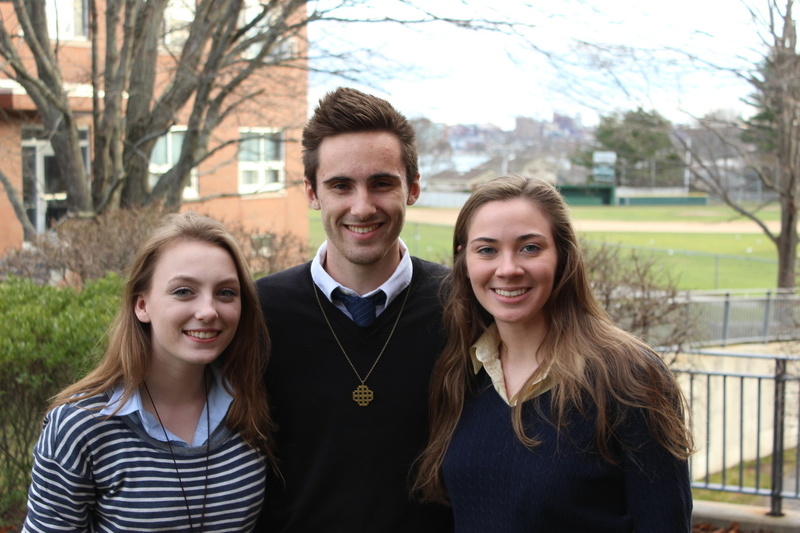 Here at Cheverus, we prepare young men and women to be people for and with others. Jesuit education seeks to develop the whole student - mind, body and spirit. Not only are Cheverus students challenged academically, but they are also encouraged to honor their own unique passions and gifts. Cheverus is committed to cultivating excellence and forming young people into competent, intellectually curious and socially conscious adults. Ask any alum what the best part of attending Cheverus was and they will tell you about the community and lifelong friendships they developed here. Our students come from diverse backgrounds, but they all share something very important -- a sense of belonging to the Cheverus community. Cheverus is a welcoming and safe place for students to grow academically, socially and emotionally. With 100% of our students going on to post-secondary school, the Cheverus experience provides the right balance of academic rigor and support. Students build the academic foundation critical to continued academic success after graduation. All courses are taught at the college prep level, and we also offer honors courses and 16 Advanced Placement subjects. In addition to individual meetings, all Juniors and Seniors take a semester-long College Advising course, taught by our dedicated College Advisor. College placements from 2014-2017 include: Bates, Boston College, Bowdoin, Brown, Colby, Colgate, Columbia, Fordham, Georgetown, College of the Holy Cross, Middlebury, New York University, Tufts, Stanford, UMaine, University of New England, University of Notre Dame, U.S. Naval Academy, University of Southern California, Villanova, Wesleyan. Learn more about the admissions process and timeline. Questions? Concerns? Please get in touch at admissions@cheverus.org or 207.774.6238 x114.